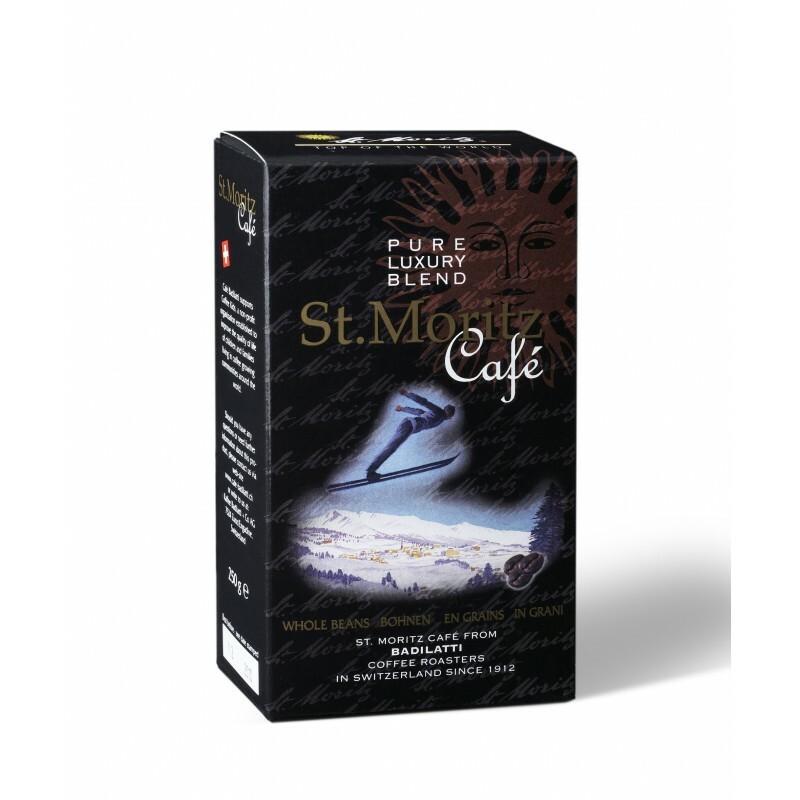 St. Moritz coffee by Café Badilatti is first-class 100% Arabian coffee using only the best washed Arabian coffee beans from Honduras, Nicaragua and Mexico. Long roasting makes this coffee pleasantly strong but not bitter, rounded off by fruity acidity with a light vanilla aroma. For: Espresso, Ristretto, Café Crème. Delivered directly by Café Badilatti. Café Badilatti has stood for first-class coffee since three generations. The beans roasted by Cafè Badilatti originate mainly from environment and human friendly production. Numerous coffee drinkers in the Grisons enjoy Badilatti coffee, and throughout Switzerland Engadine coffee brands are increasingly popular. St. Moritz coffees by Café Badilatti is an officially licensed St. Moritz product.